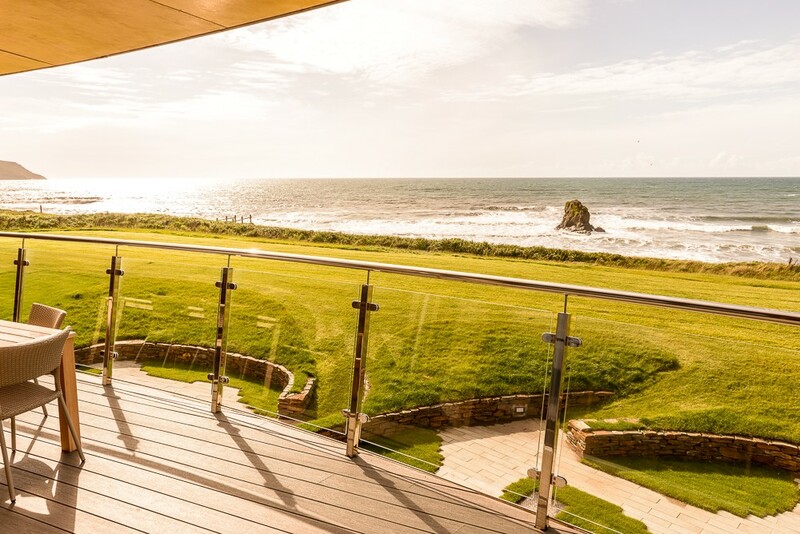 Framed by picturesque sandstone cliffs, the Atlantic View Lodges sit upon a sloping landscape on the Cornish coastline. 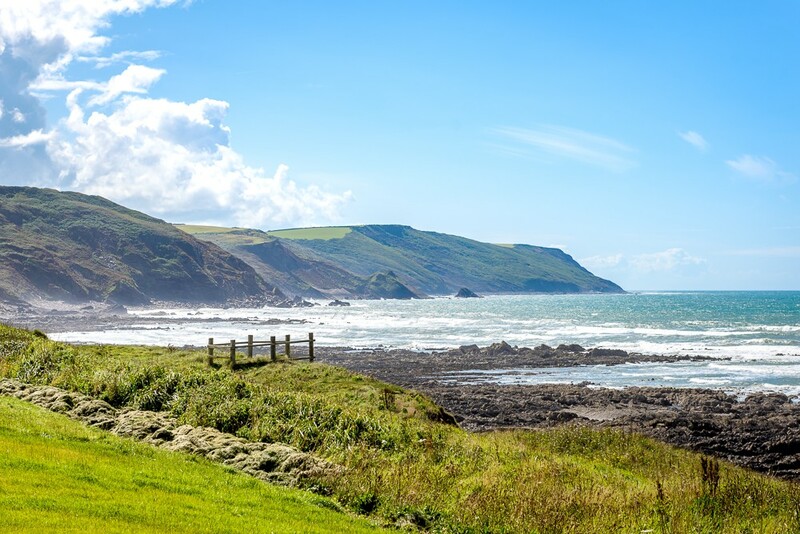 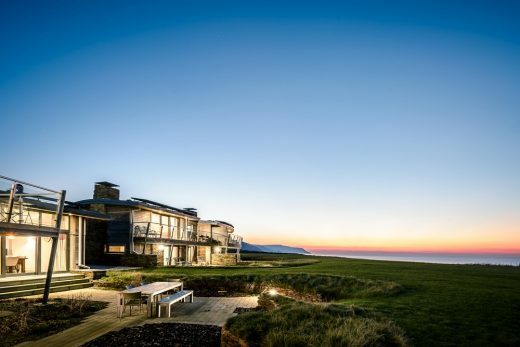 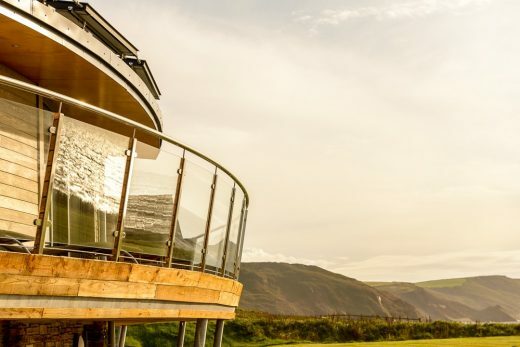 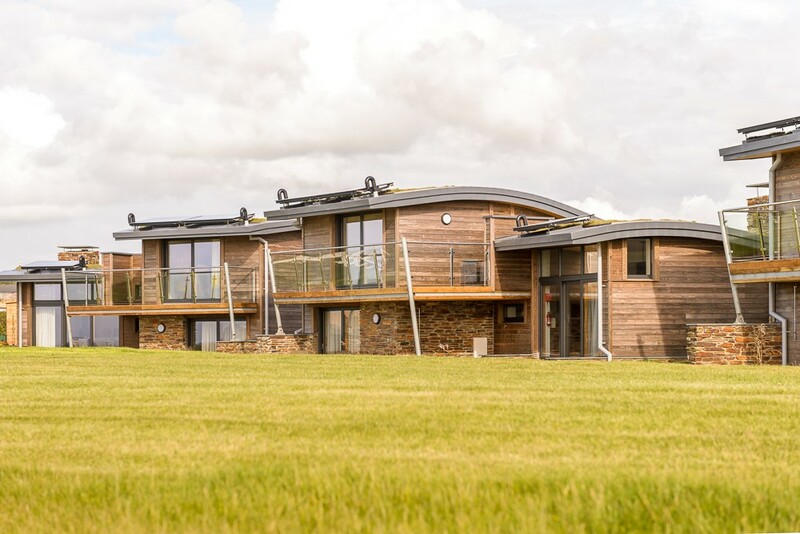 The six luxury holiday cottages positioned in Widemouth Bay, Bude, were designed to blend seamlessly into the surrounding landscape in order to uphold the natural beauty of the lodges’ setting. 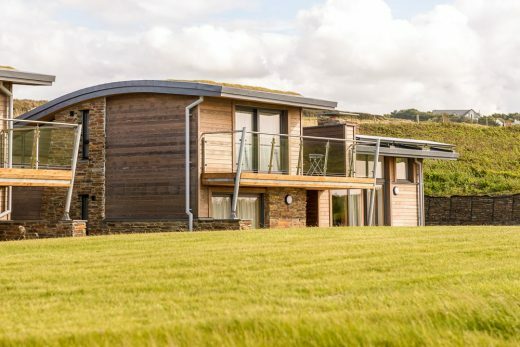 The Bazeley Partnership selected Kebony, a beautiful wood recommended by leading architects to clad the exterior of the holiday cottages due to its enhanced durability, sustainable qualities and unique aesthetic. 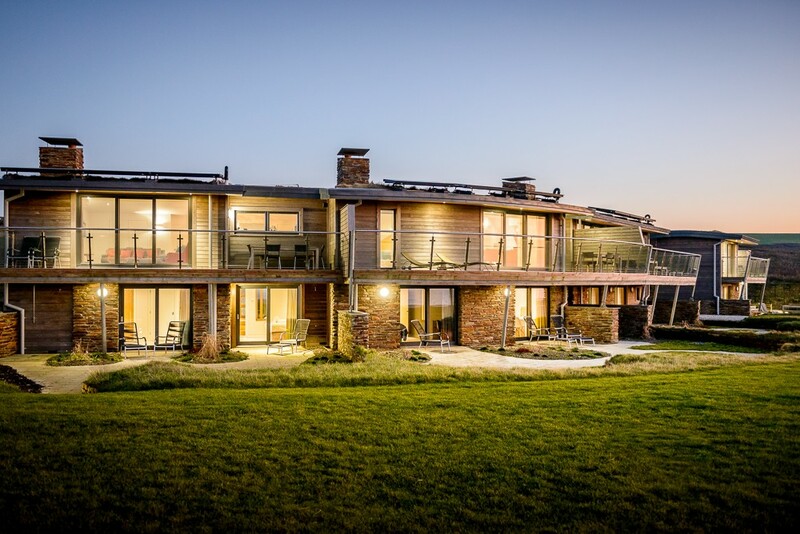 The use of innovative materials, such as Kebony, was undoubtedly a key contributing factor for the project’s success in the Michelmores Property Awards, winning Sustainable Project of the Year following its completion. 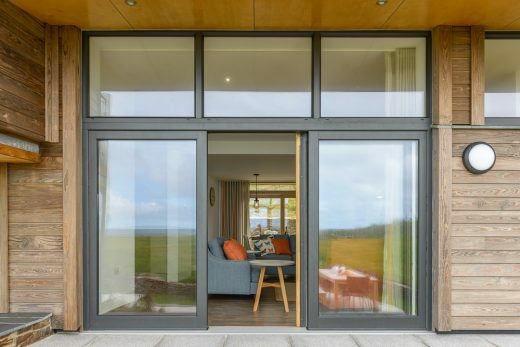 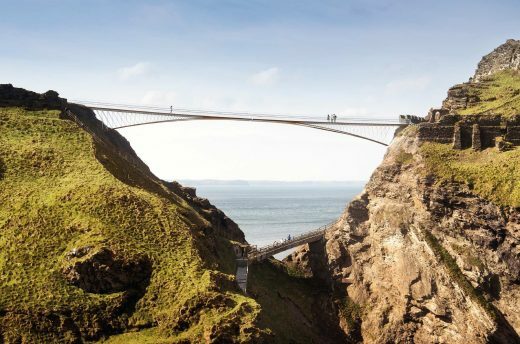 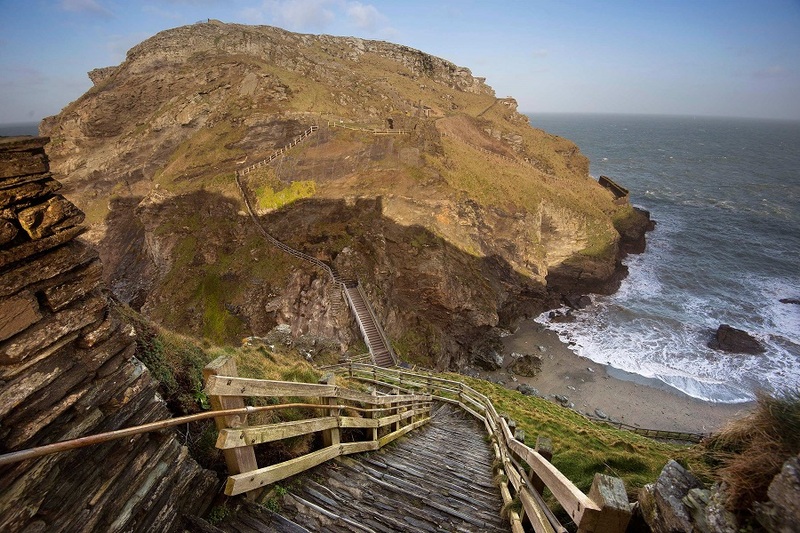 The architects designed the cottages to sit comfortably against the stunning backdrop of the wild and verdant setting behind it, whilst complementing the man-made surroundings of the beach on the other. Designed to look organic in form, the cottages create a continuation of the shapes and patterns in the natural landscape and are positioned in a sunken oval courtyard. 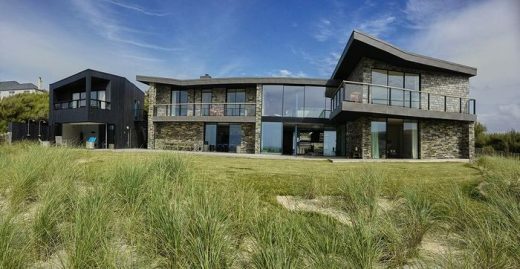 The beautifully landscaped roofing elegantly extends the heathland into the site, helping to create a uniformed design which bridges the gap between nature and structure. 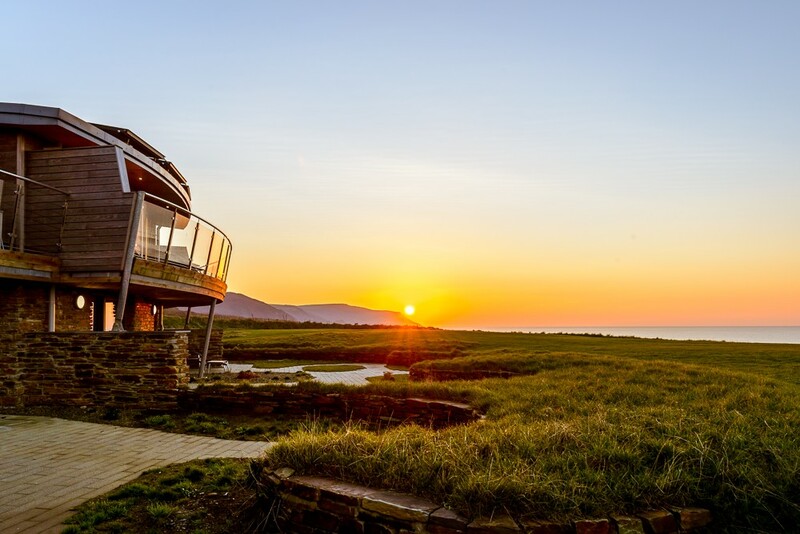 The breath-taking views of the Atlantic Ocean and unspoiled coastline are the final component in what is a fine example of forward-thinking architecture, innovative design and luxury living. 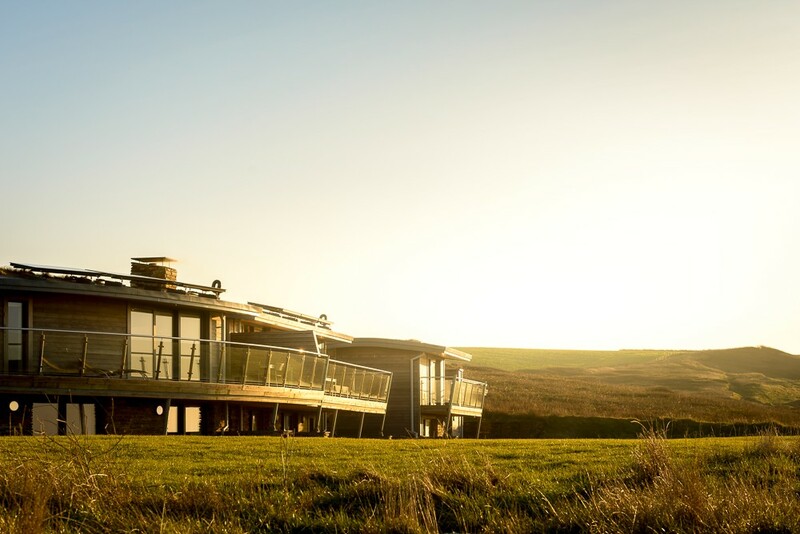 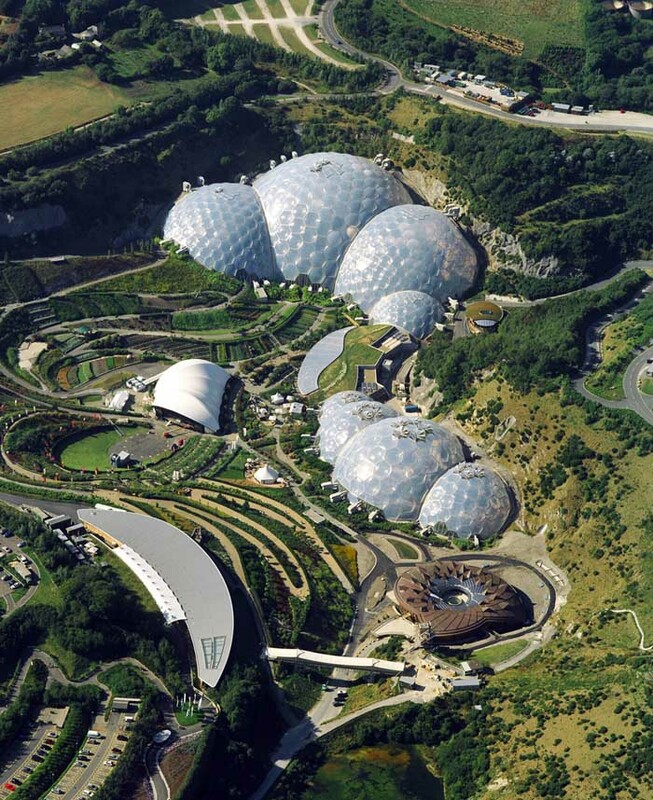 At the heart of the development lies a clear commitment to sustainability and the surrounding environment. 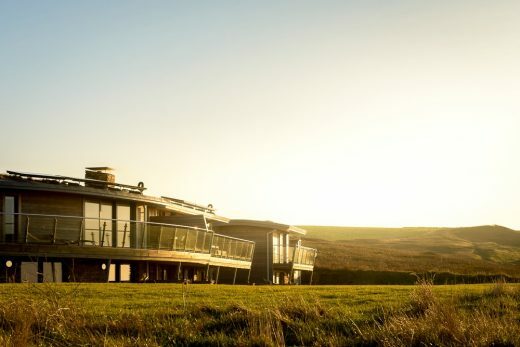 The lodges stand on the edge of an Area of Outstanding Natural Beauty and the desire to protect and foster the unique beauty of the location was paramount to the project’s success. 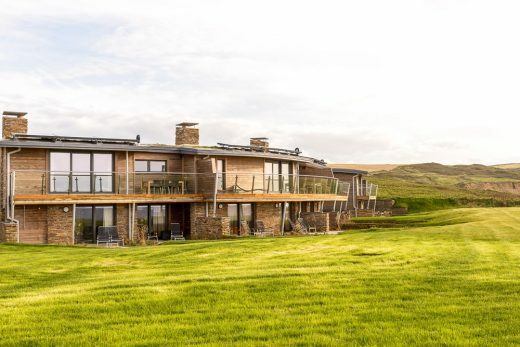 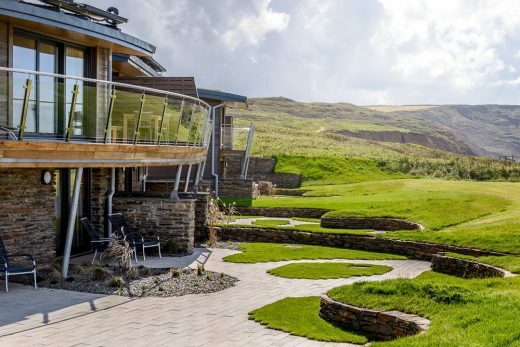 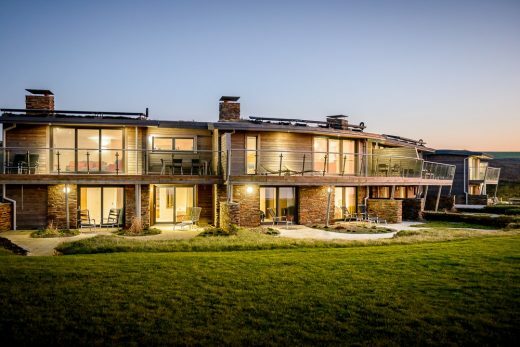 Each property utilises energy efficient technologies throughout, including solar thermal panels and air source heat pumps, whilst a green roof system was carefully installed to reduce the environmental impact of the lodges. Kebony proved to be the perfect material to clad the lodges due to its sustainable credentials, resistance to wear and unique aesthetic. 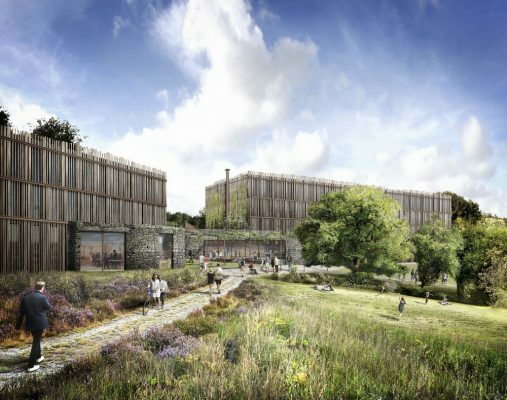 Developed in Norway, Kebony’s revolutionary technology is an environmentally friendly process which modifies sustainably sourced softwoods by heating the wood with furfuryl alcohol – an agricultural by-product. 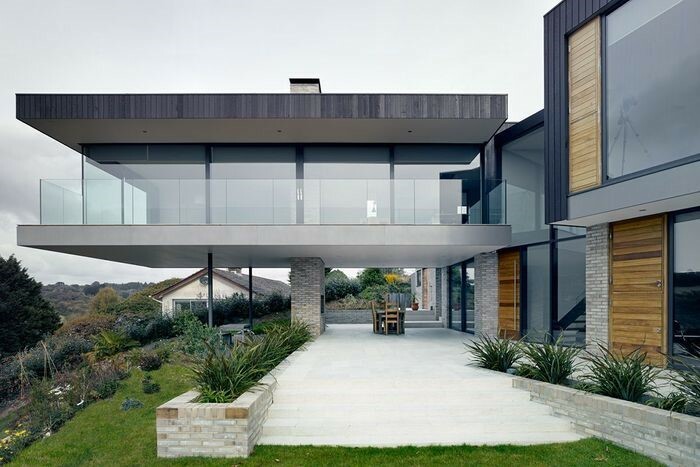 By polymerising the wood’s cell wall, the softwoods permanently take on the attributes of tropical hardwood including high durability, hardness and dimensional stability. The revolutionary process not only provides a wealth of enhanced physical properties, but also contributes to the timber’s unique aesthetic which sees a natural silver-grey patina develop over a time.